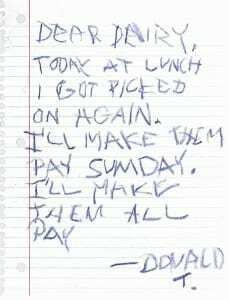 President Donald Trump has been under fire since even before he was elected for not releasing his tax returns. He has received flack for demanding Obama release his birth certificate and Hillary release her emails and simultaneously refusing to release his own personal documents under question. 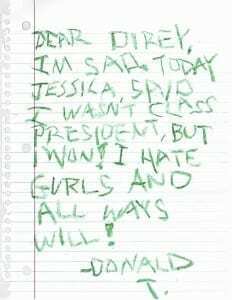 It seems today that he has attempted to make amends of his hypocrisy by releasing his third grade diary. 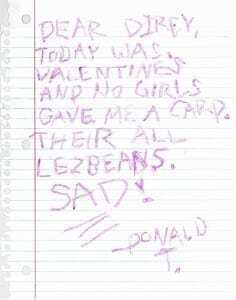 Below are some entries from a third grade Donald Trump that provide some insight into the commander-in-chief’s past and present behavior.